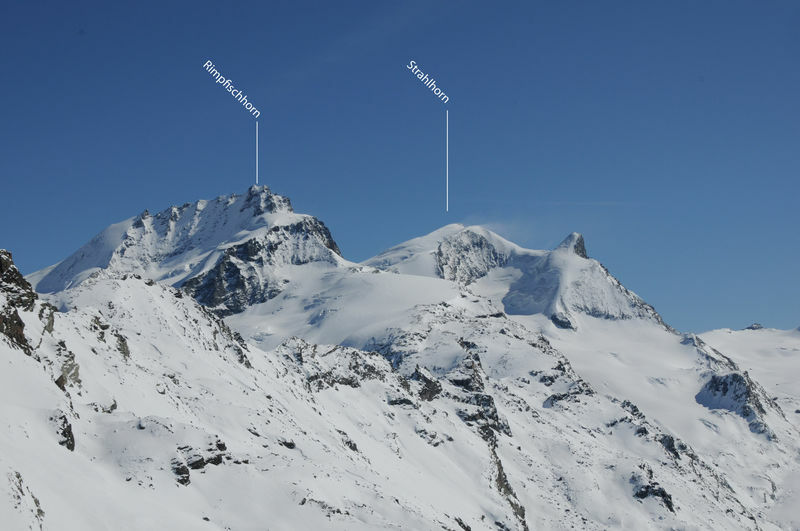 The Strahlhorn lies close to Saas-Fee, half-way between the Mischabel group and the Monte Rosa massif, just a few kilometres from the Italian border. 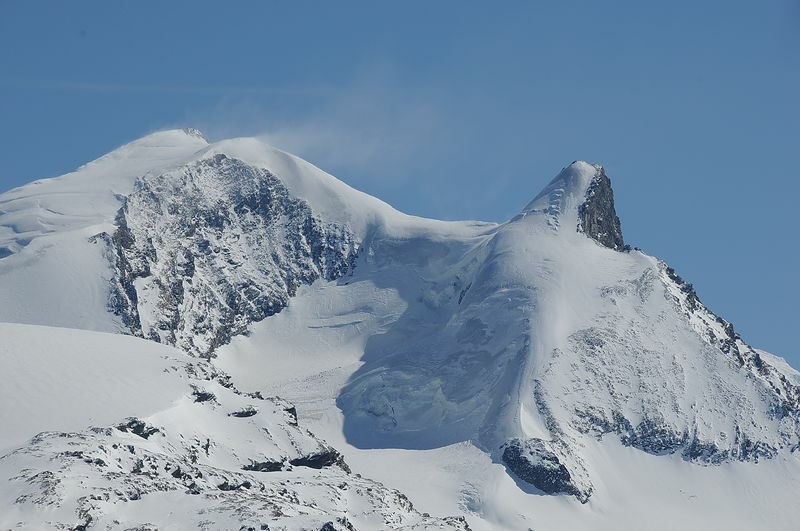 The Strahlhorn has always provided a rich yield of needle quartz, known as “Schtrale” in the Zermatt dialect – hence the mountain’s name. Today, the mountain is almost completely covered by glaciers.